When you have cargo moving all over the world you need to know where it is and when it is going to arrive at its destination. Excellent communication is an oft-overlooked yet absolutely essential quality in a freight forwarder. Working with a company that does not answer your questions quickly or get back to you with vital information is not only frustrating, but can also prove costly. Expect and demand a great level of communication and your own representative that you can contact at any time with questions or concerns. Do not accept a situation where you have to wait on hold or speak to multiple people to find out where your goods are. A freight forwarder can have many great qualities and provide everything you need at this moment in time and still be a bad choice. Why? Because when you choose a logistics company you aren’t just choosing a one-time service, you’re choosing a service you’ll be using for years to come. Different goods and different countries have different legal requirements, taxes and paperwork. The chances of there being a problem is significantly reduced if a freight forwarder has imported or exported goods of a similar type to yours in and out of your target destinations. This experience can help your goods get delivered more quickly and at a lower cost. Just a small mistake by a freight forwarder can mean the difference between your goods finding themselves in their intended destination or arriving somewhere completely different on the other side of the planet. Yet, this small mistake can mean large delays and higher costs for you. This makes attention to detail a key attribute of a good freight forwarding company. You should expect excellent paperwork, high quality tracking and a partner who is prepared to call and ask for clarification when they not certain if they are correct. 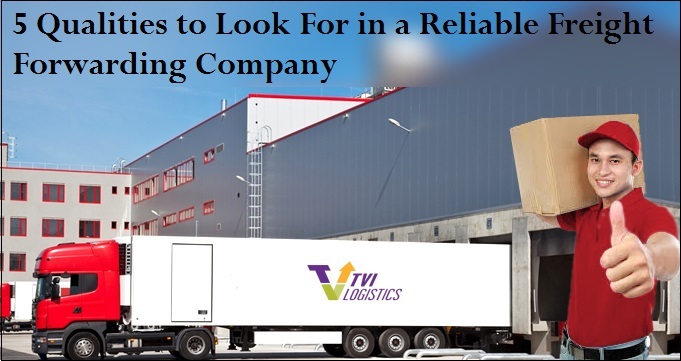 The more contacts and service contracts a freight forwarder has, the more likely your product can reach its intended destination quickly and successfully. More contacts means better knowledge and information, while multiple service contracts give more carrier options. Subscribe to our newsletter for more insights into freight forwarding and logistics; or specific questions about choosing a freight forwarder or about how outsourcing logistics might work for your business please contact us today. A member of our team will be happy to offer advice, guidance and support.